Maja by Myrurgia For Women Loción corporal 13.5 oz. Myrurgia Parfum " Maja N°611 " 110ml Eau de Cologne Splash ! 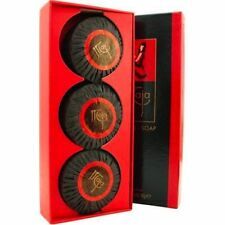 Maja de Myrurgia para mujeres jabón Set - 3 barras de jabón 4.9 oz cada. MYRURGIA S.A. EAU DE TOILETTE PARA MUJER. VAPORISATEUR SPRAY. INTERNATIONAL SALES. 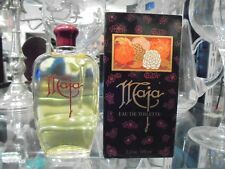 MYRURGIA S.A. EAU DE TOILETTE PARA MUJER. VAPORISATEUR SPRAY. ESPAÑA :El transporte de este artículo se realizará por agencia de transporte urgente. GASTOS DE ENVIO. INTERNATIONAL SALES. - 3.3 Fl. MAJA PROBADOR MYRURGIA 60 ML. SPRAY CON CAJA BLANCA TESTER, LA COLONIA HUELE MUY BIEN. Etuche colonia-jabón Maja Myrurgia. 60's parfum-soap gift box. Great conservat. 60's ORIGINAL gift box Maja by Myrurgia, Barcelona, Spain. - The cologne or parfum bottle contents exact or very aprox. and is in perfect using condition. El que ven en las fotos. La colonia es de tamaño " 1/32 "; esto es de muy aprox. MAJA DE MYRURGIA. FRASCO PEQUEÑO NO SE EL TAMAÑO PUEDE QUE DE 50ML FORMATO SPLASH. ENVIO CERTIFICADO. ARTICULO TAL CUAL SE VE. MAJA DE MYRURGIA. Descatalogado, muy difícil de conseguir /. MAJA DE MYRURGIA. FRASCO PEQUEÑO NO SE EL TAMAÑO SPLASH. ENVIO CERTIFICADO. ARTICULO TAL CUAL SE VE. Original Product 100% - New - Not a Tester. Marke Myrurgia. Serie Maja Myrurgia. Nueva Maja. Maßeinheit 100 ml. Maja Myrurgia. Marke Myrurgia. Serie Maja. Typ Eau de Cologne. Maßeinheit 100 ml. La caja está OK. No es perfecto. Agua de Colonia. Maja MYRURGIA. Marke Myrurgia. 3.5 FL OZ ~ 100 ml. Maßeinheit 100 ml. Maja Myrurgia. Marke Maja Myrurgia. Casi 95 de 103 ml -Lo mismo que en la foto. Maßeinheit 100 ml. Marke Myrurgia. Serie Maja. Eau de Toilette Spray. Typ Eau de Toilette. 3 x 30 ml (~ 90 ml). Maßeinheit 100 ml. Maja was launched in 1921. The photos are used for illustration purposes only. This page informs you of our policies regarding the collection, use and disclosure of Personal Information we receive from users of the Site. [Launched by the design house of Myrurgia in 1921, MAJA is classified as a refined, subtle, oriental fragrance. [Talcum Powder 7 oz]. Il prodotto non deve aver subito alcuni tipo di alterazione. ]. Launched by the design house of Myrurgia in 1921, MAJA is classified as a refined, subtle, oriental fragrance. Le proporcionaremos siempre un código de rastreo. Disponible para confeccionar como regalo. 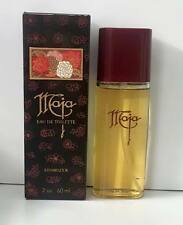 Launched by the design house of Myrurgia in 1921, MAJA is classified as a refined, subtle, oriental fragrance. You are running a high risk of losing the case if no sufficient evidence is provided. The photos are used for illustration purposes only. [Launched by the design house of Myrurgia in 1921, MAJA is classified as a refined, subtle, oriental fragrance. [Dusting Powder/Talc with Puff 5.3 oz]. Il prodotto non deve aver subito alcuni tipo di alterazione. ]. [Launched by the design house of Myrurgia in 1921, MAJA is classified as a refined, subtle, oriental fragrance. [Body Lotion 13.5 oz]. Il prodotto non deve aver subito alcuni tipo di alterazione. ].